Our bikes. We have a range or bikes already out or able to be delivered. We have a range of bikes to suit ages 8 and upwards as well as attachments to help you get out and about with younger kids too. 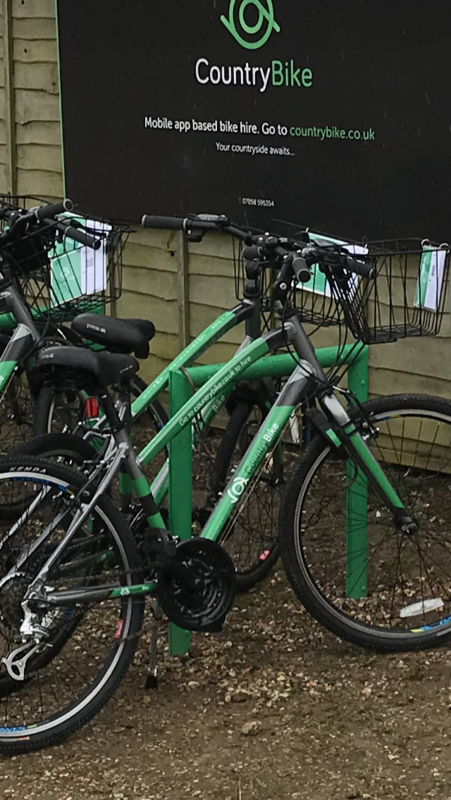 Whilst some of the children’s bikes are available only for day hire and delivered to you, we also have many bikes already out and about that you can pick up and will suit many children and adults aged from around 12 and upwards. We are proud that the majority of our fleet are 21 speed Hybrid Dawes bikes, perfect for exploring the local countryside. For almost 100 years Dawes has been one of the finest bicycle brands in the UK. The Dawes factory made bikes for the armed services during the war and has since supported a whole host of British racing cyclists over the years both on and off-road. All of the Dawes bikes have adjustable saddle heights. In addition to the the above, we also have BMX stunt, Carerra and Apollo 18 speed, 14 inch frame children’s bikes. We have a ‘Tag Long’ and baby seats too, both of which we can be attach to our bikes on special request (enquire for fees and availability if interested). We have carefully chosen our bikes to suit getting around the countryside. They are both light and durable. The tyres are puncture resistant and also contain a sealant that automatically repairs small punctures if they occur.